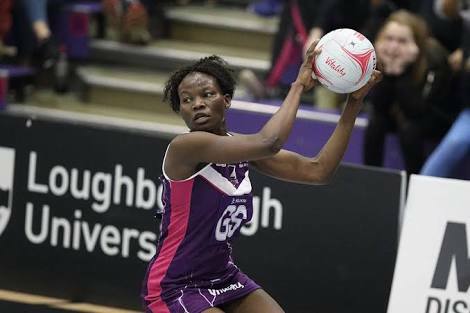 With the 2019 Netball World Cup qualifiers in Zambia slatted for August, 20 players have been summoned to start preparations. All the core of the team that did shine at the 2018 Commonwealth games in Gold Coast, Australia has been retained. The team will still be led by inspirational captain Peace Proscovia and also features seasoned performers like Halima Nakacwa, Florence Nanyonga, Ruth Meeme, Betty Kiiza and Ajiyo Lillian. Speaking at the summoning of the on Friday, William Bwambale, the vice president Administration at the Uganda Netball Federation was optimistic the early preparations will help the team immensely. “We believe that if these players start training early, by the time we reach August 1st when they travel to Zambia, they shall be fit and ready enough to qualify for the World Cup. “Good enough the finances are available to cater for the team throughout. The team will hold two training sessions everyday, morning and evening starting Monday 25th, June 2018 at Mandela National Stadium Namboole. And being the matter of fact that the National team coaches including Immerida Nyongesa and Mubiru Rashid are handling the university team that is preparing for FISU, the federation has appointed Kiwanuka Vincent as the head coach and he will be ssisted by Bogere Nelson. Uganda is tussling it out with several other nation to have one of the two remaining slots for Africa. The two African teams that have already for the tournament proper are South Africa and Malawi. The qualifiers slated for 13th to 18th August 2018 in Zambia and Uganda is expected to travel two weeks before the tournament. “We expect our team to depart on 1st August so that we get time to have friendlies with other teams as part of preparations, continued Bwambale. “Remember we need these qualifiers so much because they also help us to maintain our ranking. Ajio Lillian, Stella Nanfuka, Halima Nakacwa,Ruth Meeme, Stella Oyella, Betty Kizza, Joan Nampungu, Zam Sera, Muhaimuna Namuwaya, Esther Awayo, Racheal Nanyonga, Florence Nanyonga, Jesca Achan,Hindu Namutebi,Irene Eyaru,Nakanyike Nantumbew Shakirah, Mary Nuba, Kuruthum Ali, Irene Mirembe and Peace Proscovia.